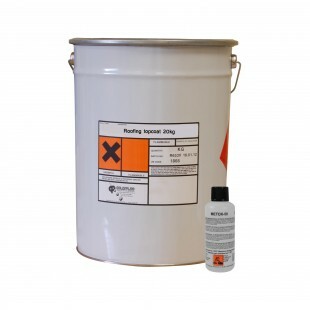 We offer a choice of two Roofing Topcoats - Fire retardant or Standard. Our standard, non fire-retardant topcoats have been specifically formulated for fibreglass roofing applications and is available in Light or Dark Grey. Our fire retardant roofing topcoat is available in a dark grey finish. Both will leave your roof with a waterproof, durable finish.